Updated April 2018. Originally developed by John Addison. New York, San Francisco, and Boston are the best cities for walking in the United States. Far more than most US cities, people walk to work, to run errands, to dine, to play and see friends. With urban density, there is more walking and transit, more nearby work and services, and less driving for most. Our top 10 list is based on Walk Score metrics. When I write about a city, or want to book a room in a city’s best neighborhood, I use Walk Score. Urban planners find Walk Score of great value. If you are moving, Walk Score will help you find the best place to buy or rent. 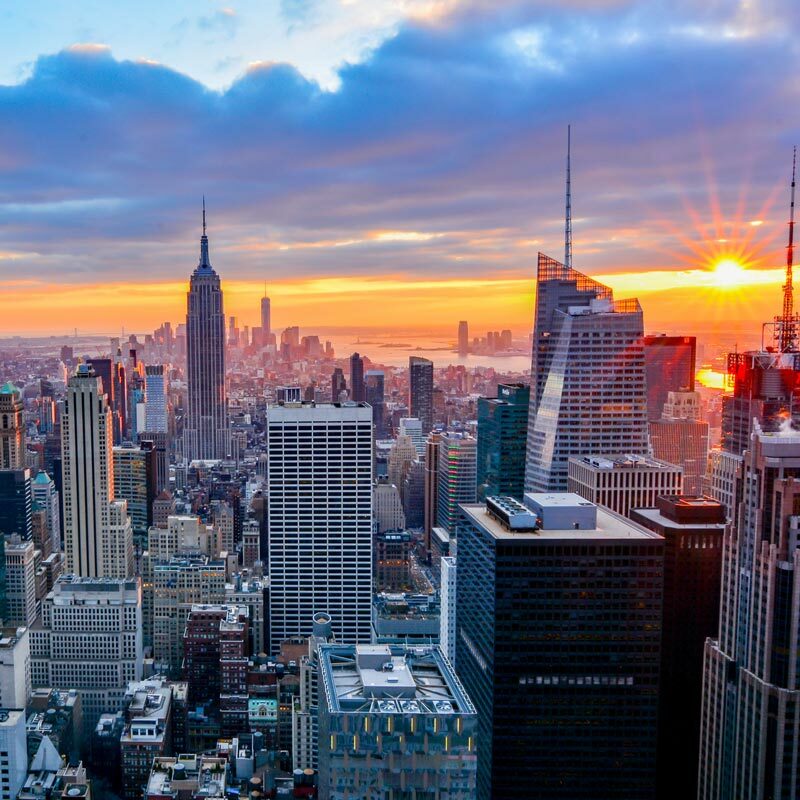 New York is a global leader in banking and finance, dazzling in the performing arts, and a city of opportunity. Over 8 million live in the city’s five boroughs and 10 percent walk to work. New York has the lowest car ownership per capita in the US, with only 45 percent of households having a car. Density creates a tapestry of 6,000 high rise buildings woven together with integrated mobility that includes subways, buses, ridesharing, ferries, and bike lanes. Walkers are never more than 10 minutes from a subway station. In the past five years, walking has gone from safe to more safe as the city implements a 63-point Vision Zero action plan. Walkers are often separated from cars from Central Park to the High Line to the Battery. New York has a long history of defending its neighborhoods and keeping them walkable, as is highlighted in Jane Jacob’s classic The Death and Life of Great American Cities. Ten percent of locals walk to work in this compact city of 47 square miles. 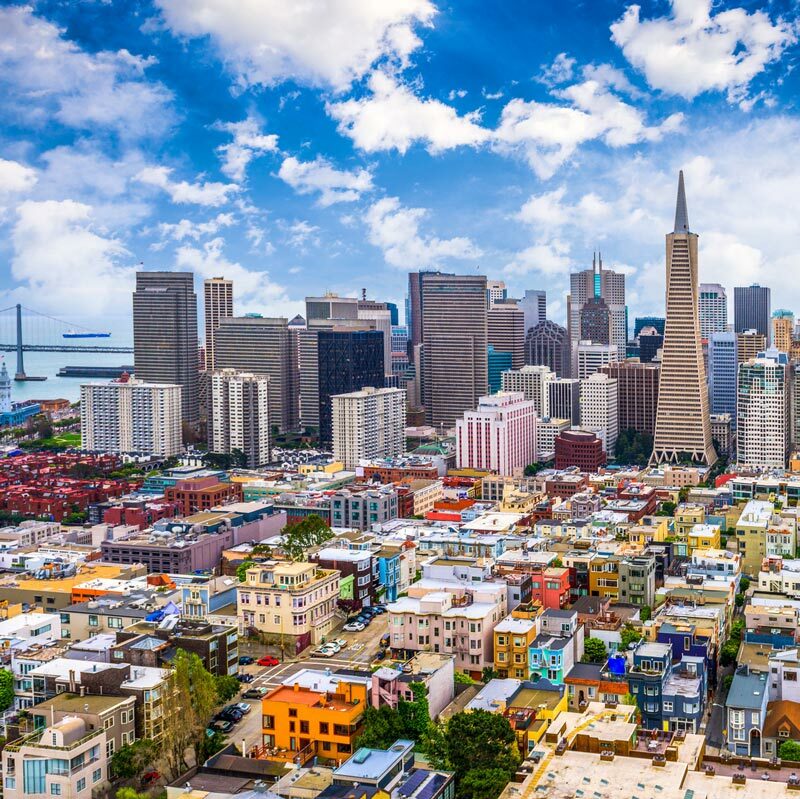 San Francisco is part of Silicon Valley, which includes over 5,000 tech firms such as Google, Facebook, and Intel. The city of San Francisco is headquarters for over 1,000 tech companies; these employers are popular with valuable tech workers who prefer city living to wasting hours in gridlock driving commutes. Industry has attracted highly educated workers from all over the world, adding to the city’s diversity and inclusiveness. Already energy efficient with about 40 percent of energy generated with renewables, the city has ambitions to be powered with 100 percent renewables. 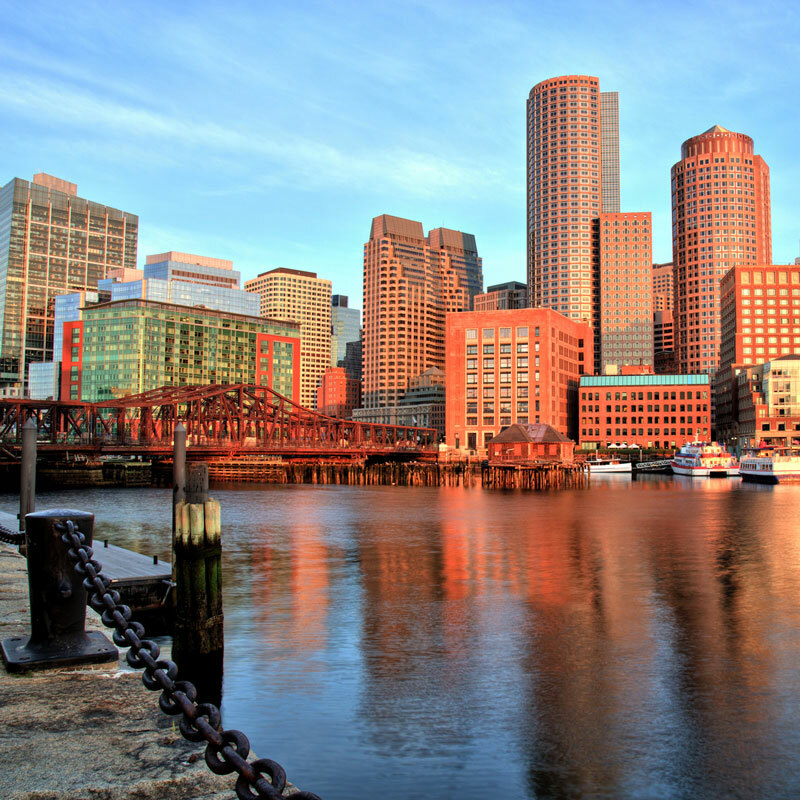 Boston has one of the highest walk scores, benefiting from its compact 48 square miles, and enjoys bus, subway, light rail and ferry transit. Boston is a great center of education and research. The first public school in the nation was established there almost 400 years ago. In the adjacent city of Cambridge, universities such as MIT and Harvard grace the Charles River, attracting thousands of research organizations and tech innovators. In Cambridge 25 percent walk to work, the highest percentage in the US per Census data, and higher than Boston’s 15 percent. For its diverse population of 450,000 in the city and 2.5 million in Miami Dade County, government has prioritized walking and transit over driving in its Strategic Miami Area Rapid Transit (SMART) Plan. Miami is at risk with over $40 billion of property and much of its population at sea level; flooding and sea level rise is a serious challenge for Miami, including roads and transportation. Philadelphia was designed to be walkable when it was founded in 1682, and the city’s grid plan became a model for early American urban design. While preserving the central city design, including a vast park system, a new Philadelphia2035 plan is unfolding that includes 18 district plans and integration with a Northeast Megaregion. The city invites walking for its 1.5 million residents. Acela Express rail is faster than flying, downtown to downtown, when traveling to New York and Washington DC. Transit combined with walking make it easy for many of the city’s 2.7 million to get around and well serve the region of 10 million. With its great neighborhoods and urban density as the first city with skyscrapers, it is easy for many to walk to work. For more, walking is effective combined with transit on the “L,” Metro buses or Metra Rail. For play, millions enjoy strolling along the lake, through Millennium Park, or shopping the Magnificent Mile. In the District of Columbia 12 percentage of people walk to work. Walking is invited with the beauty of the city’s architecture, the National Mall, and green spaces. Its extensive Metro rail system, formerly had an excellent reputation, but now its aging infrastructure needs funding to again be reliable. There is currently a tension between those who want to reduce the size of government, and those who support Washington DC goals of becoming the healthiest, greenest, and most livable city in the United States by 2032. The 700,000 living in Seattle feel a connection with nature. From any of its hills you can see the network of islands in the Puget Sound and snow-capped Mt. Rainer in the distance. Mobility has been too car oriented, but that is changing with everything from bus rapid transit to voters approving a vast expansion of commuter rail. Improved transit brings more walking in the compact city of 84 square miles. Major employers Amazon, located its 40,000 headquarters workers downtown, with 20 percent walking to work. Renewables meet 77 percent of the electricity needs for the state. Oakland is home to many non-profit headquarters and regional offices that promote walking, sustainable mobility, and environmental justice. For example, Oakland’s Transform has implemented safe walking at over 100 schools, has shifted state funding to walking and transit, has promoted BRT and many other initiatives. California Mayor Jerry Brown, a global champion of sustainability, was formerly mayor of Oakland. Long Beach is the second busiest port in the US, a major tourist center, a healthcare center, and home of a large university. Many of Long Beach’s 470,000 commute to work in Los Angeles and other Southern California cities, but others work, learn, and play in Long Beach. Walking is easy in this compact city of 51 square miles. Long Beach wil host a number of sports in the 2028 Summer Olympics. These cities are inviting places to work and live. Walking safety is a a priority in these cities. Boston, Washington DC, Chicago, New York and San Francisco have committed to Vision Zero, with a goal of zero traffic deaths. People are prioritized over cars. Urban density puts more work and services nearby. More can get to work faster on transit and walking than by driving and the trip is safer, and studies have show that walking improves health and happiness. John Addison is the author of two books - Save Gas, Save the Planet that details the future of transportation and Revenue Rocket about technology partner strategy. CNET, Clean Fleet Report, and Meeting of the Minds have published over 300 of his articles. Prior to being a writer and speaker, he was in partner and sales management for technology companies such as Sun Microsystems. Follow John on Twitter @soaringcities.